Density of pumice and obsidian. 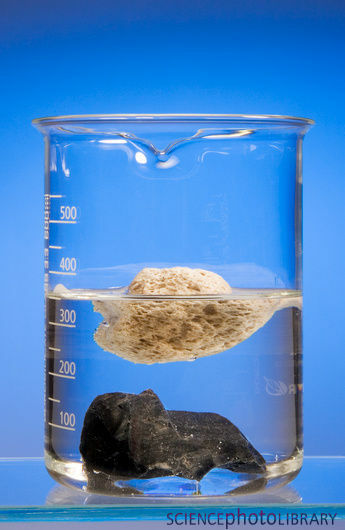 Pumice floats! Do the test on all sorts of rocks and classify them into each category.